Vincent Bach combined his unique talents as both a musician and an engineer to create brass instruments of unequalled tonal quality. Often copied but never duplicated, Bach instruments today remain the sound choice of artists worldwide. 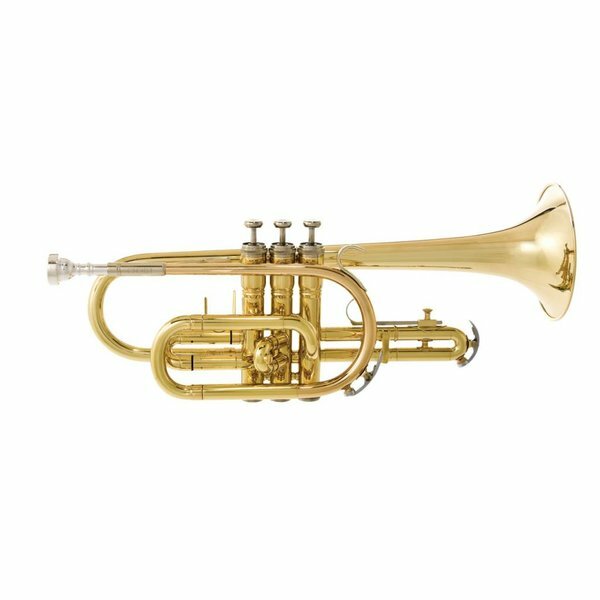 The Bach model CR301H is made in the USA and features a standard long bell design. The design provides ease of play, responsiveness and projection as well as accurate intonation. Professional Monel pistons provide light, quick action while the rose brass leadpipe warms the sound and resists corrosion. The 1st valve thumb saddle makes for easy intonation adjustments. The clear lacquer finish provides a subtle warmth to the overall sound. The CR301H is a well designed durable instrument perfect for the beginning student and is well suited for all types of music. 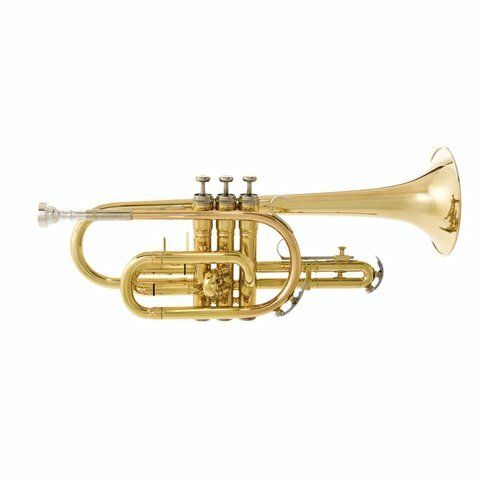 Bach USA - .462" Large bore, standard model, 1st slide thumb hook, rose brass leadpipe, Monel pistons, clear lacquer finish, Bach 6 mouthpiece, 50914 molded case.